Sometimes I think back to how I ate as a kid. I can just picture myself chunky little self sitting 6 inches from the TV screen on a Saturday morning, watching cartoons and licking my fingers as I devoured crappy potato chips with sour cream & onion dip for breakfast. Fast forward to today, where an onion baked in a flour made from a vegetable is considered a treat. Man have things changed. So guess what? I FINALLY GOT A REAL CAMERA. Up until last week, all my photos were shot using an iphone 6plus. I’m super excited to learn how to shoot with a DSLR and bring you better pictures. A good picture can really make all the difference for a recipe, so I’m really pumped for what’s to come! Sometimes we just need to relive an old favorite. Food carries so many memories, so many emotions. Eating a good meal can take you right back to a happy moment in your past. I remember eating blooming onions from Outback at hockey games with my Dad. They were pretty expensive so only an occasional treat, but I enjoyed every second of it. Crispy, slightly spicy, and oh so delicious. While you could fry the blooming onion to be more authentic, I hate the hassle of frying things. By hassle, I mean cleanup. I hate cleaning. I opted to bake this, which still resulted in a perfectly crispy, but pull away tender paleo blooming onion. The dipping sauce is spot on, tasting just like I remember it at Outback. If you need a visual on how to cut the onion, check out this video. It should look like this after cutting and peeling the petals back. Don’t forget if you make any of my recipes please use the hashtag #foodandsunshine so I can see all your goodies! Preheat the oven to 425 degrees and place a piece of parchment paper on a baking sheet. Cut 1/2 inch off the top of the onion. This is the side that comes to a point, not the root. Peel. Place the onion cut side down and make a downward cut starting approximately a 1/2 inch from the root. Make sure to slice all the way down until you hit the cutting board. Repeat to make 4 evenly spaced cuts around the onion. Keep slicing between the sections until you have 16 evenly spaced cuts. Flip the onion over and gently peel back the layers separating the pieces. If your cuts didn't go all the way through use a small paring knife to finish the cuts and open the bloom. Start with the outer pieces and work your way in. If you are having trouble separating the petals, you can soak the onion in ice cold water for a few hours or drop it in boiling water and then quickly drop it into an ice bath. In a bowl just large enough to hold the onion whisk the eggs and milk. In an additional bowl whisk the cassava flour, salt, cayenne, paprika, cumin, oregano, thyme, black pepper, and tumeric until well combined. Dip the onion into the egg wash, making sure to coat all sides and in between the petals. Use a brush or spoon if needed. Dip the onion into the flour mixture, again making sure to coat all sides and in between the petals. You may need to use a spoon or your fingers to sprinkle all the petals. Dip again in the egg wash and then in flour. Move the onion to the baking sheet. Use a brush to coat any exposed areas with egg and then sprinkle with flour. Drizzle or brush the flour with ghee to ensure that the flour will brown. Bake for 25-30 minutes until the petals pull away easily and the crust is golden brown. If you have a lot of white flour specks showing brush with ghee and bake for an additional 3 minutes. To prepare the dipping sauce mix all ingredients in a small bowl until well combined. If you want to serve your onion with the dipping sauce in the center, cut out the center using an apple corer or a small pairing knife before peeling back the layers. If you have ideas for classic recipes that you would like recreated paleo allergy friendly email me at foodandsunshineblog@gmail.com! I would love the suggestions, and the challenge. I’ve got try this, it looks so tasty! Awesome photos btw. Thank you! SO much more I can do with a real camera. Haha!!! Nice catch. Thanks for letting me know, I just fixed it. It’s not nut free. The third ingredient is cashew, almond, or coconut milk. Hi Corielle. Coconut is not actually classified as a nut. Alternatively you could use tiger nut milk which is a tuber, not a nut. Hi there, is there something that I can use in place of the egg? You could try coconut milk or ghee/melted butter. I think the coconut milk might work better though. Sounds great! I must try this soon! 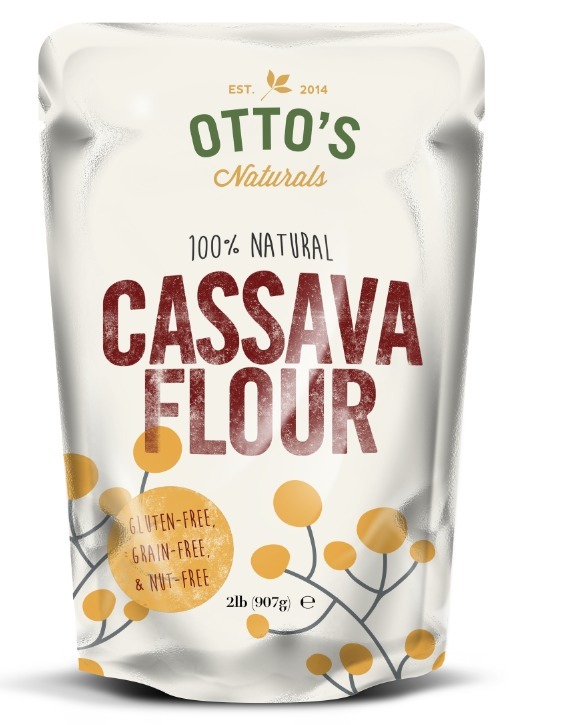 What would you recommend as a substitute for the cassava flour? Thank you! Tapioca flour should work but it will change the texture a bit. You could also use almond flour if you tolerate nuts. So excited to give this a try! Family has been hungry for this. Looks delicious. Love your step by step instructions.